Time really does fly when you are having fun! I am celebrating my three month anniversary at Club Pilates and am absolutely head over heels in love. I have been noticing some amazing things happening too and as promised from my last post, I am thrilled to update you with all the progress. 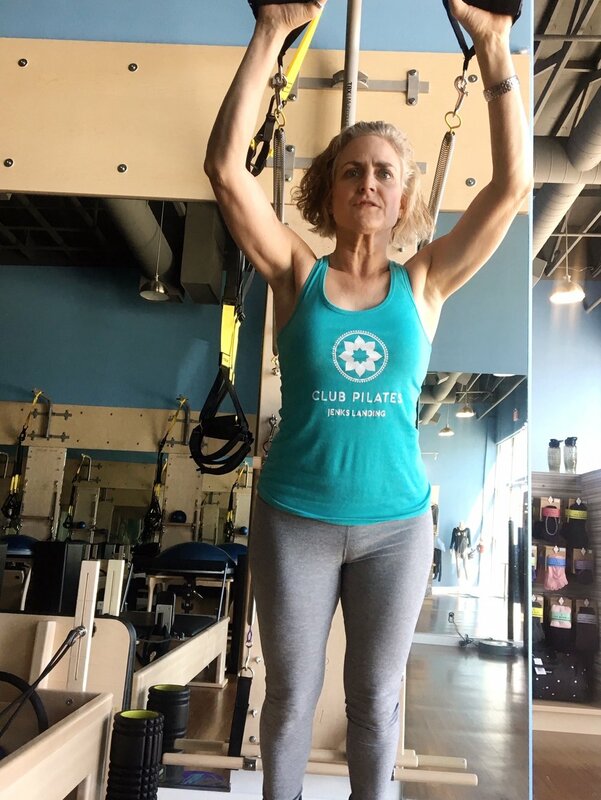 Be sure to catch my post from my very first month at Club Pilates too if you are interested in learning more about my journey. I am now strong enough to take Club Pilates Level 2 classes which is so exciting. Level 2 is all about Evolution--An inspiring and uplifting class that will fully challenge the body and mind. This moderate to fast paced class incorporates quick transitions and will introduce you to more advanced exercises and use of the apparatus. Increased repetition, complex coordination, balance, and resistance create a dynamic challenge that will elevate your Pilates practice. I am so excited to see a Level 2.5: MASTERY class added soon. It's the most advanced class and perfect for once you have mastered form and alignment. Advanced movements can only be achieved with a deep mind-body connection and the preparation that the previous levels provide. 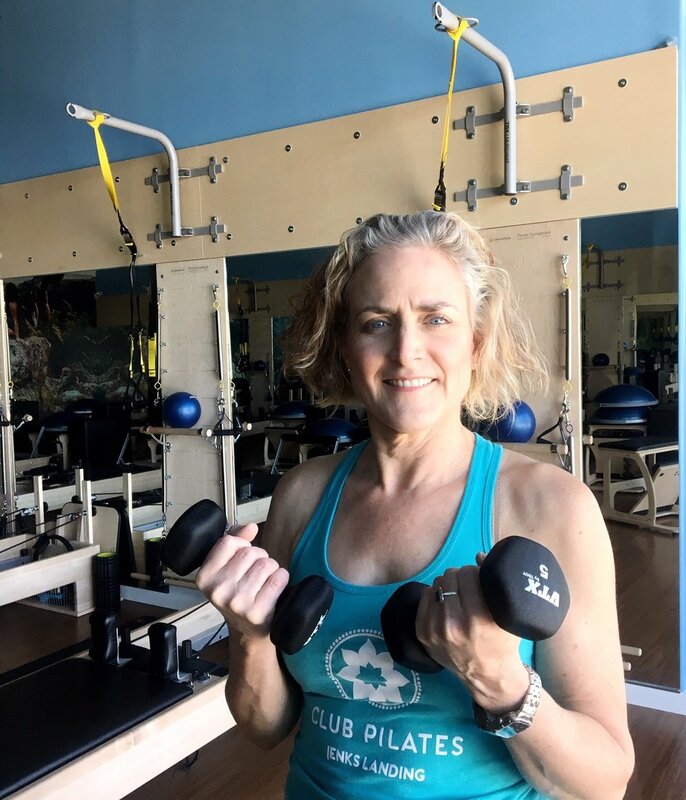 I have discovered that even the simplest Pilates exercise focuses on multiple things - breathing, coordinated muscle contractions, balance, control. As a beginner you tend to focus on one or two things. As you get more advanced you begin to integrate multiple levels of an exercise. The better you get, the more you get out of it! (If you watch a class full of Pilates instructors you will see few reps performed to exhaustion with the utmost focus and concentration.) Pilates exercises have a distinct progression from beginner to advanced. The same exercise can be made more difficult by performing on one leg, adding/subtracting a spring, changing your position and I am really making the workout for me. I have really been concentrating on form too. In Pilates it's all about quality over quantity and my instructors have even been complimenting me on my form. It's conveniently located off 75 and takes no time to get there even if you are coming from downtown where I live. The studio has plenty of space to move and so much natural light. You will see clients range from 15-96, yep not even joking--and you will see so many shapes and sizes. Pilates is truly for everyone. I had the honor of taking Jennifer's class and really enjoyed her style of teaching. And just generally adore her contagious energy! 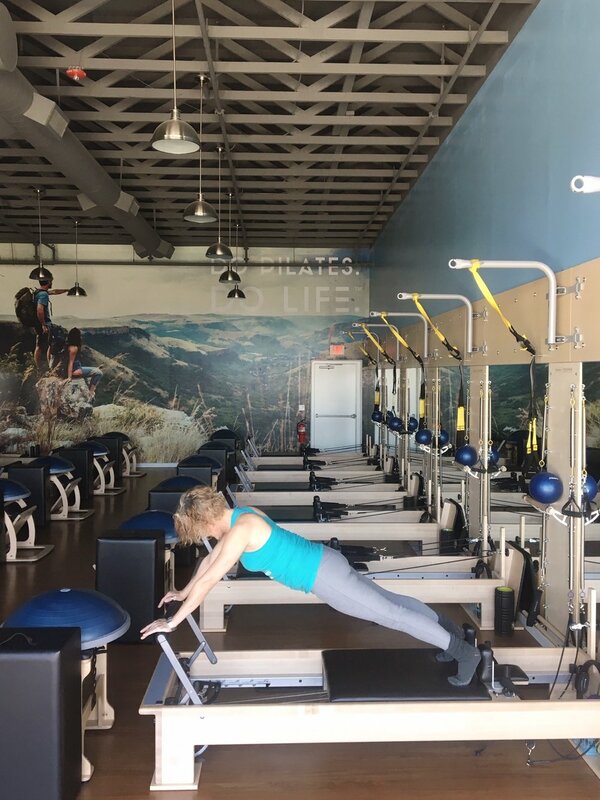 Read on to get a taste of Jennifer's passion and dedication for Pilates !! -How do you start your day? Do you have a morning routine? What do you have for breakfast? I turn on the radio set to the classical music station and open the French doors to let light in. I usually eat a Cliff bar and/or drink a protein shake. -How do you end your day? I try to complete a Sudoku puzzle in bed. -How did you know you wanted to be a pilates instructor ? I could no longer jump up and down repeatedly. -What is your goal in teaching? To get people out of pain and into their lives, and to make them love Pilates. -What is your intention as you teach? Awareness: Listen to what your body is telling you it needs. -When did you start practicing Pilates? Were you always athletic? Did you play sports? I became mat certified in 2005. I was always athletic in a personal and individual sports way; team sports are not for me. Common misconception you hear about pilates ? "It's just for dancers." "When I get stronger I will try Pilates." Ugh. -Advice to someone nervous to try pilates ? "It's all about you and it is fun." What is your favorite muscle group? Any muscle attached to the spine. -What is your favorite prop? My creation: A Bow Towel. -What different exercise disciplines to you practice? I "wog" (walk+jog) and I bicycle -- sometimes. Really. -Are there any foods you try to consume more of? Any foods you try to avoid? Wine. French fries, but they find me anyway. -What's your diet like, and what's your take on different diets? My diet is pretty dang healthy, except for the errors mentioned in the answer above. As for diets, short of a metabolic disorder, it's all about calories in and calories out. Period. -If you could only do one Pilates exercise, what would it be? -How has Pilates changed your perspective on life? It aligned my desire to help people with a career; now I know what I want to be when I grow up! -Any tips to help us manage stress? Meditate. I call it mental hygiene and I can recommend a good instructor. -What about tips to "quiet our minds" before bed? No electronic devices of any kind. Read or -- work a sudoku puzzle! -What are you listening to right now ? KWTU - Johan Johannsson - "The Miners' Hymns: Freedom from Want and Fear." This composer also created the score for "The Theory of Everything." Sadly, he died suddenly on 2/9/18 at the age of 48. -How do you spend your time outside the studio? I have only one hobby, scrap booking, and I NEVER get to it. I must get my doctorate of physical therapy degree; it is knowledge I desperately want. I flunked out of DPT school here at OU-Tulsa so it is time to come to this knowledge via another route. I am thinking PTA - physical therapist assistant. I still want to be a stunt car driver. Book your free demo today at Club Pilates Jenks Landing. They will be having limited-time membership specials, great deals on apparel and gear and you will be able to get up to 20% off on your first three months! Give them a call or shoot them an email!! If you are reading this and closer to the South Tulsa location at 91st and Sheridan take advantage of 3 CLASSES FOR $49--Offer Valid For New Members Only! It's only available for 24 more hours!!! Or book your free demo ! Stay tuned for my May Club Pilates feature! 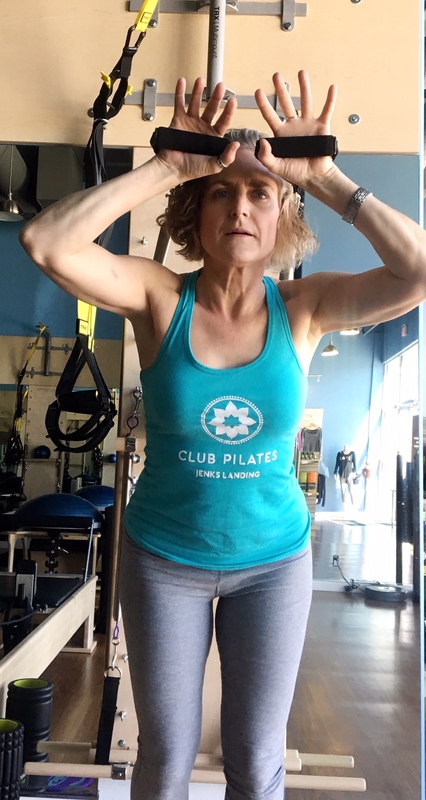 I am interviewing several Club Pilates members who are 60 and older !! It's going to be so good! !